Highlights from the Educational Department newsletter » In the weekly newsletter that comes out from our Education Department, there were several highlights, which I thought you would enjoy. Mile High Academy seniors invited some elementary students to their Anatomy & Physiology class. It was a learning experience that some students enjoyed more than others. Click here to read what several students shared about their experience. The Mile High Academy eighth grade class is planning a fundraising Dinner Theatre for Feb. 9, at 6:30 p.m. Click here to read more and learn how to reserve tickets. HMS Richards Elementary students presented the worship service, Jan. 19, at Campion Church in Loveland, Colo. Read more. Disaster response training to be offered » Kathy Kissner, Rocky Mountain Conference’s Adventist Community Services and Disaster Response coordinator, will offer disaster response training, Feb. 22–24, in Ft. Collins, Colo. It was tremendous to learn of all the volunteers who helped victims of the fires in 2012. To be a part of that ministry team for future disasters, this training is very important. Click here to learn the time and place for this training. 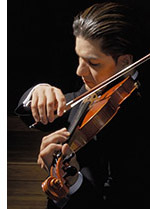 Jaime Jorge to give concerts this weekend » Jaime Jorge, a world-renowned violinist, will give two concerts this weekend. This evening, at 7:00 p.m., Jaime will be at the Campion Church, located at 300 42nd St SW in Loveland, Colo.
Jaime will be with the Arvada (Colo.) Church family tomorrow at 11:15 a.m. for their worship service. The Arvada Church is located at 7090 W. 64th Ave., Arvada, Colo.
Walla Walla University alumni to meet and enjoy hymn festival and organ concert » For those of you who are WWU alumni or may enjoy organ music, you will want to attend the Feb. 2 hymn festival and organ recital at Denver South Church with Kraig Scott, WWU music professor. Read more. Sweetheart Get-a-way weekend at Glacier View Ranch has a new date » I received this note from the staff at Glacier View about the Sweetheart Get-a-way weekend to be hosted there. Last year’s event was a wonderful success and all had a good time. 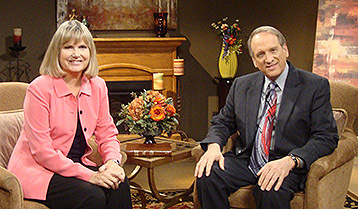 Click here to learn more about when this special weekend for married couples will take place and how to be a part of it. Hispanic Group in Durango, Colo., offers seminar for the Spanish-speaking community » Pastor Ruben Balaguer shared news that the Hispanic Group invited Nicole St. Mary, a community health profession who holds a doctorate in health and nutrition, to conduct a health and nutrition seminar for the community. Myriam Balguer organized the event offered on Jan. 27. Members invited their Spanish-speaking community friends. St. Mary’s seminar was received very well. Myriam is now organizing another seminar with St. Mary for the English-speaking community. On the road » What a wonderful church family Diane and I experienced last Sabbath in Delta, Colo (pictured above). Members of the Delta Church and some from the Cedaredge and Paonia churches joined together for a district worship service. It is worth noting that they always have an excellent fellowship dinner. This past Monday, I went to the Pepsi (Caffeine-free) Center to watch Campion Academy and Mile High Academy play basketball on the court where the Denver Nuggets play. Both schools demonstrated enthusiastic school spirit, and all had a good time. 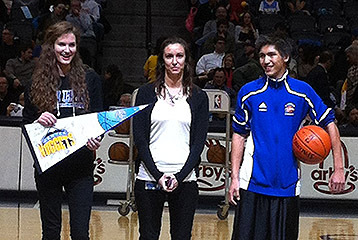 At halftime, during the Denver Nuggets game, Kennedy Haffner, from Mile High Academy, and Aaron Pineda, from Campion Academy, were recognized as MVPs of their respective games in recognition for their efforts to help their teams win. This Sabbath, Diane and I will have the privilege to worship with the Rocky Mountain Indonesian Church in Denver. This is a special Sabbath for the congregation because they are welcoming Purasa and Ester Marpaung (right), who will help provide pastoral leadership and care at the church. A friend of mine from academy sent me an encouraging quote. Have you ever wondered if your efforts in ministry or help for others ever make a difference? If so, then I encourage you to read this passage from Our Father Cares, by Ellen White. Blessings to all as we finish our week worshiping our Savior together!